This doe is a MCH Fox Fire/ MCH FR Surprise cross and in my opinion she may well be the best doe we have ever produced. Period. I think that pretty much says it all. 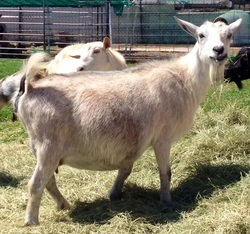 Sugar as we call her is new to our herd this year. We will evaluate her udder when she freshens. She's a lovely doe and we love her bloodlines. 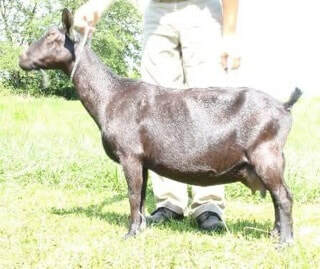 Virginia is a deep bodied and extremely productive doe. She routinely produces beautiful quads. 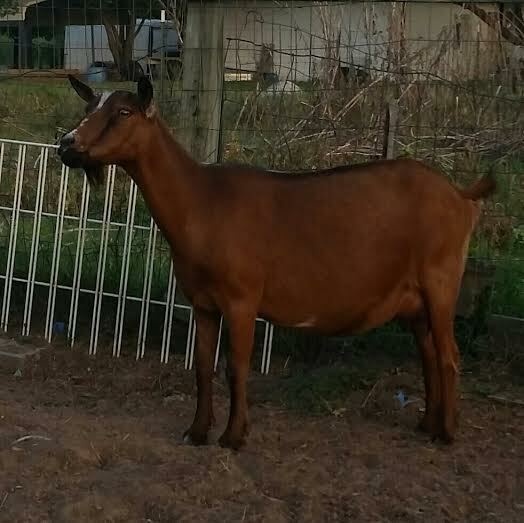 A beautiful young doe line bred on Minstrel Show. We were very impressed with her second freshening udder, can't wait to see her third! Carmen is quickly becoming one of our very favorite does on the milk stand. She is routinely milking 4lbs with her buck kid on her. 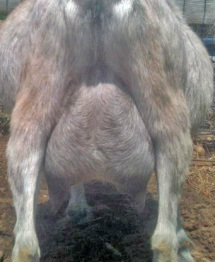 Her udder is high in the rear with lovely laterals and medial, plumb teats and huge orifices. 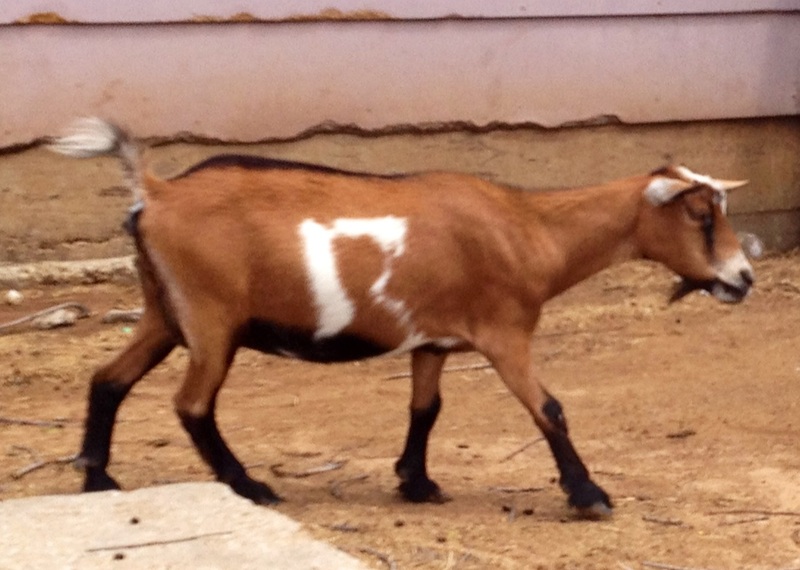 This boy is very line bred on Flat Rock's Gem ++B*S.
This doe is flat outstanding. 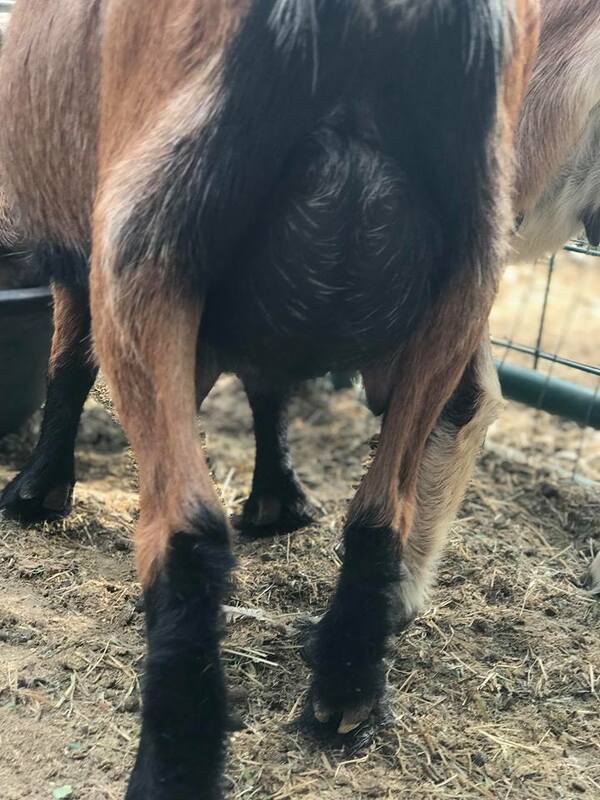 Her udder is absolutely perfect, I cannot find fault with it. Enough said. 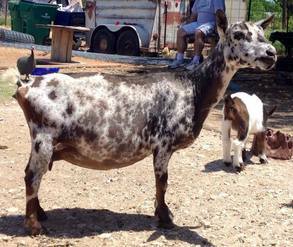 SG ARMCH Twin Creeks Stella Luna*D E 90LA, Flat Rocks Hannah and MCH Minstrel Show. This pedigree is very deep. 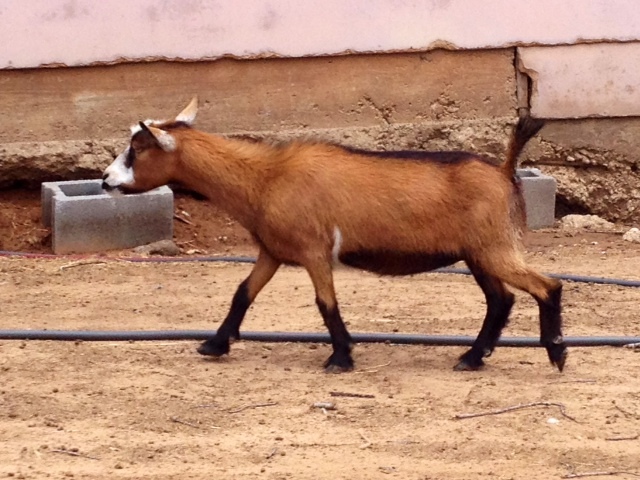 Dotty and Tinkerbelle are both beautifully long and deep bodied does with a excellent udders. 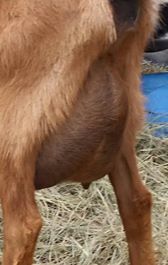 Both have lovely easy to milk teats that are correctly shaped and placed. Another favorite young Fox Fire daughter. We liked Groovy so much as a first freshener we broke our own rule and kept her son as a buck. We knew we had made the right decision when her second freshening udder was just as good as we expected it to be. Twin sister to Expelliarums, we haven't seen this girl freshen yet but we should shortly. Expecting dynamite! 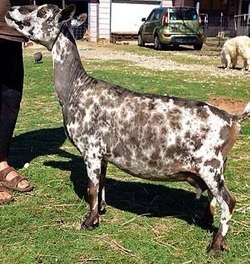 This is an oddly colored Swiss marked doe who is carrying on the tradition of elegance with MILK and attachment we are used to in the Voodoo line. She'll be 2nd freshener in 2013. 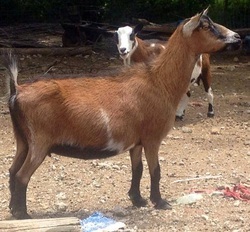 Another excellent Fox Fire daughter. Another Fox Fire/Sea Siren cross. Its such a good cross I just have to keep them. Seven Ups second freshening udder is lovely and we are thrilled with her. Another beautiful Sea Siren/Fox Fire/Gem cross. This doe is one of Morgans favorites. Her second freshening udder was excellent and she is a lovely milker. This doe is one of my favorites. She's the last daughter of Holy Terror and she's everything I could have asked for. She has a dynamite udder, she's a dream to milk, she raises her kids, she never makes a fuss. Her second freshening udder is fabulous. Another beautiful Heir daughter. This girls second freshening was absolutely stunning. Can't wait to see more from her! Kia is a late first freshening doe but we are excited to see what this line breeding on Gem produces.